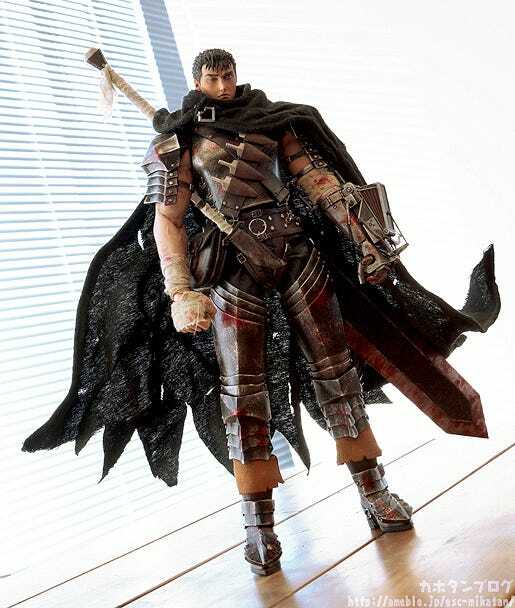 From ‘Berserk’, the dark fantasy masterpiece set in middle age Europe, comes a 1/6th scale action figure of the main character, Guts! 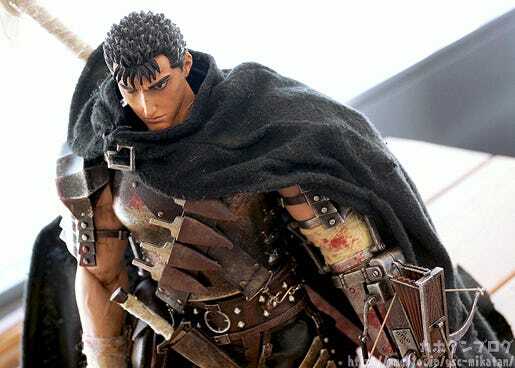 The figure stands approximately 32cm in height with his Black Swordsman outfit and equipment all sculpted down to the most intricate of details. 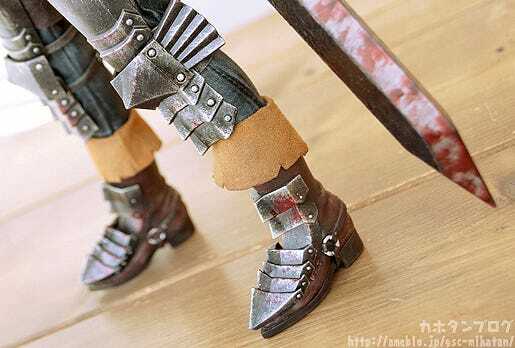 His cape and bandages make use of real fabric, while his belt and scabbard use synthetic leather. 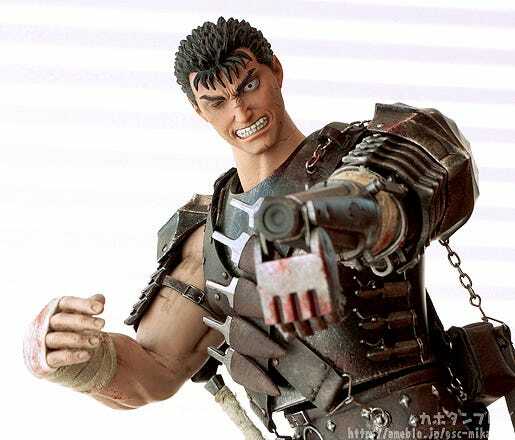 Guts also comes with a large selection of weapons including his Dragonslayer sword, a dagger, five throwing knives and a crossbow.The crossbow comes in both a stowed away form as well as a deployed form that can be attached to his left forearm for combat scenes. 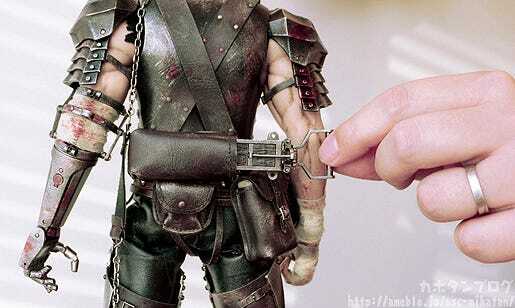 His artificial arm has full articulation all the way down to the individual fingers, and the hand can even flip down to reveal a cannon just like in the series. 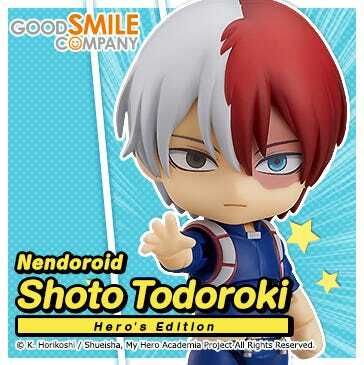 His right arm features a seamless elbow joint for natural poses and also comes with four different interchangeable hand parts to choose from including a fist, open hand, hand for holding his sword and a hand to hold the crossbow handle. 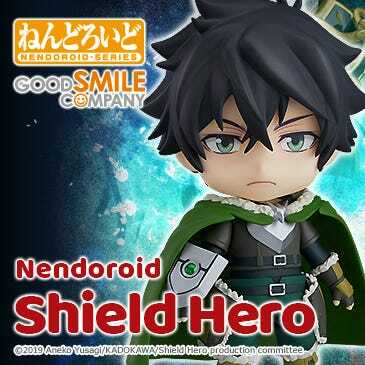 He also comes with two head parts – a stoic standard expression and a berserk expression for combat scenes. 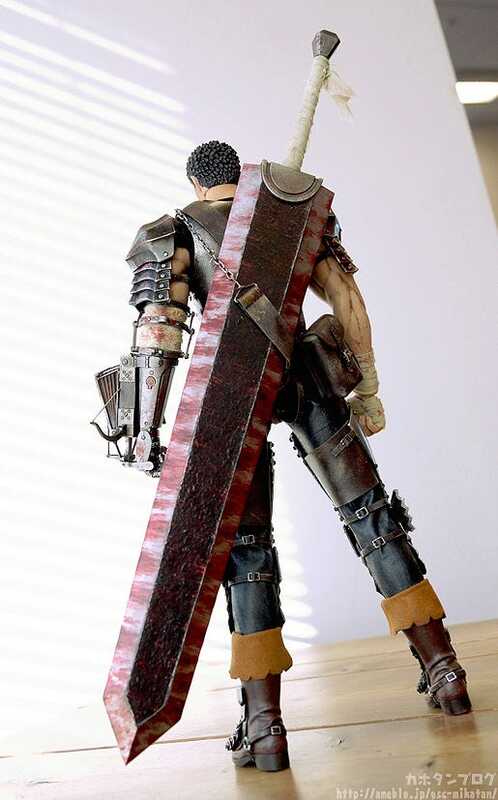 The long black cape can be attached and removed as you see fit, and he also comes with his massive Dragonslayer sword in all its gory detail! △ You can see the sword as been in a fair share of battles. 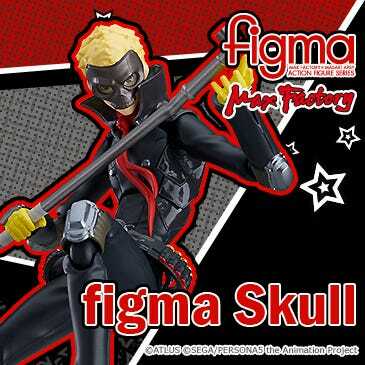 Plus as you can tell from the photo above, his armor and all the other details and accessories of his outfit have all been faithfully preserved on the figure! 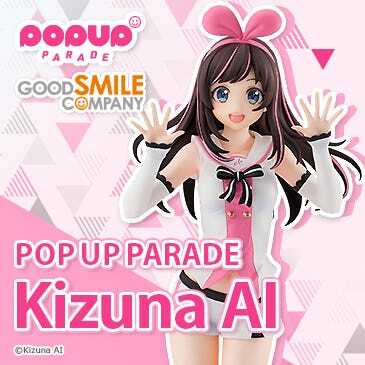 The outfit makes use of real materials for a very realistic appearance as well! 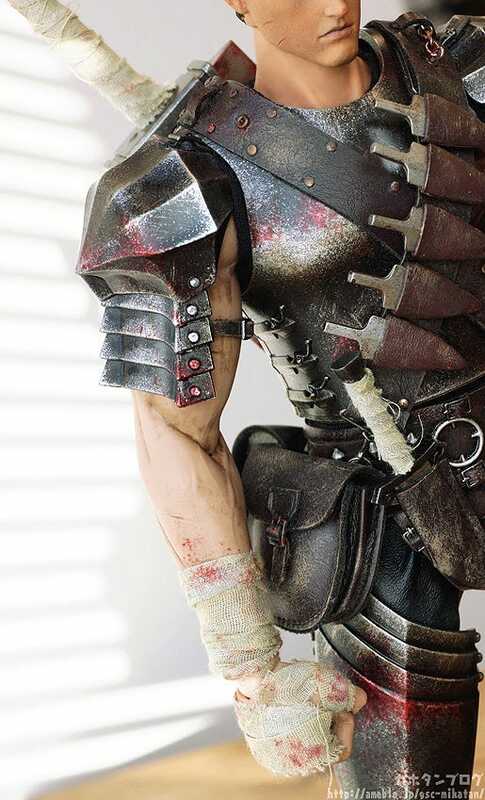 The sturdy armor together with that powerful gaze…! 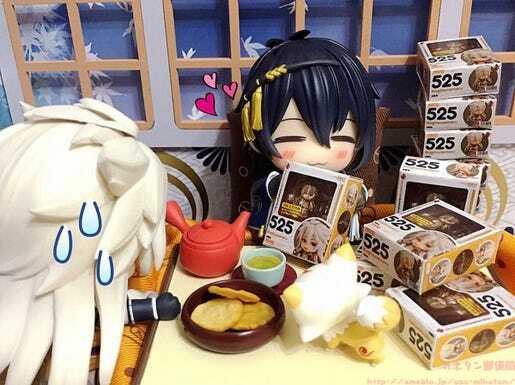 You may have also noticed he was carrying a crossbow at the start of the blog! 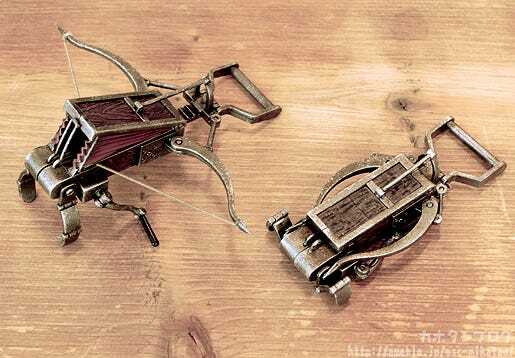 This crossbow also comes in a folded up form to be placed securely away in a holster on his back! 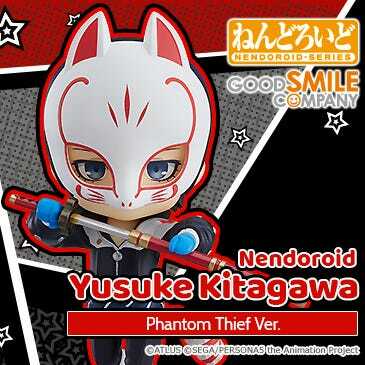 This hand is none other than kadoo from threezero! 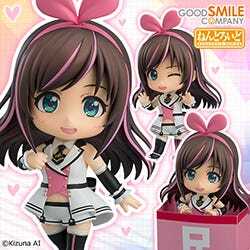 You can tell from the size of the hand that this is also a figure with quite some volume! Bend the wrist and reveal the cannon! 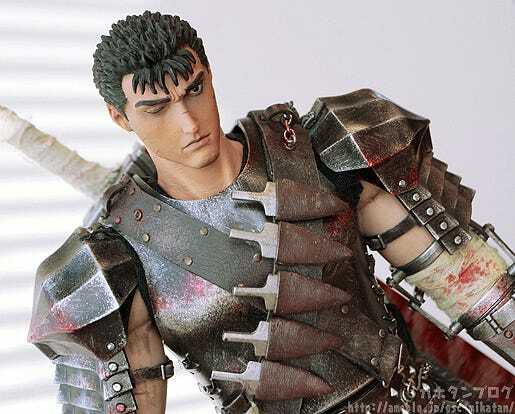 Add the profound world of Berserk to your collection! 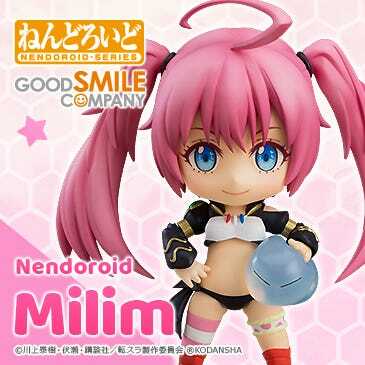 Orders in Japan can be made at the GOODSMILE ONLINE SHOP until the 20th January at 21:00JST!